Former CIA Director John Brennan is being held as a martyr by the left after President Trump stripped his security clearance last week. They're defending Brennan as a truth teller, even a whistleblower, and claiming Trump is infringing on Brennan's First Amendment rights by denying him access to classified information. Sen. Mark Udall (D-Colo.) became the first senator to make the call when he issued a statement declaring that he had "no choice but to call for the resignation of CIA Director John Brennan." Sen. Martin Heinrich (D-N.M.), another member of the Intel panel, made the same demand later in the day. “I think that at this point, it would probably be better for the agency, frankly, if he step aside,” Heinrich said in the Capitol on Thursday evening. “I think that the level of trust between the committee and the director has hit a new low and I think today’s revelations largely sorted out who was being accurate in the run-up to this, and it leads to me believe that it’s probably time for him to go." The New York Times editorial board echoed these sentiments, saying Brennan's head may "need to roll" over the CIA spying on Senate computers, which Brennan lied about. Some called Brennan an "embarrassment" to President Barack Obama, who appointed him as the nation's leading spy. And others wondered if Brennan knew too much about drone strikes killing innocent civilians, therefore making him immune to firing. 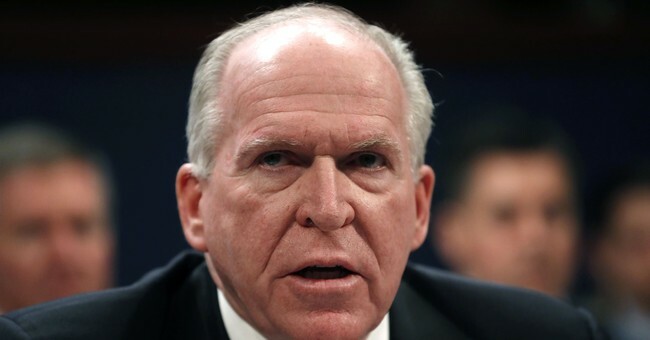 The question now is, if Brennan was worth firing, why is taking away his security clearance such an egregious offense?